Merck & Co., Inc. (MRK): Will Dividends Keep Going Strong? Throughout the years, some of the best performing pharmaceutical industry stocks have had long histories of providing healthy dividends to their stockholders. Merck & Co., Inc. (NYSE:MRK), for instance, a Big Pharma offering a number of healthcare solutions predominantly via its prescription meds, is well known for also providing a nice steady dividend income stream to its investors. In addition to its vaccines, biologic therapies, prescription drugs, and consumer care products, Merck & Co., Inc. (NYSE:MRK) is also well entrenched in the area of offering animal health products and services. Some of Merck’s top sellers in the human arena include its asthma drug Singulair, as well as Januvia for diabetes, and both Vytorin and Zetia for the management of high cholesterol. Over the past 12 months, Merck & Co., Inc. (NYSE:MRK) has seen a continuation of expanding profit margins – coupled with a rise in its share price. The company currently pays its shareholders a $1.72 per share dividend, which equates to a dividend yield of almost 4% – a nice yield in comparison to other potential income producing vehicles. Recently, Merck & Co., Inc. (NYSE:MRK)s insomnia drug Suvorexant was accepted for standard review by the FDA – meaning that if this med gains approval, it will essentially be the first of its kind in a brand new classification of medications- referred to as orexin receptor antagonists- that can be utilized with those who have a difficult time either falling, or staying, asleep. The potential profit to Merck & Co., Inc. (NYSE:MRK) for this drug alone is nothing to yawn about. It has been estimated that the market sector for this particular med is in the range of $2.7 billion. 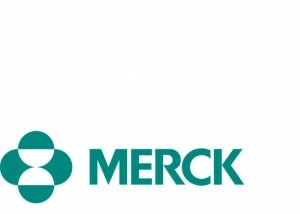 In addition, Merck & Co., Inc. (NYSE:MRK)’s recent purchase of the ovarian cancer drug Vintafolide from Endocyte – while facing some potential competition from Eli Lilly & Co. (NYSE:LLY)’s similar offering – could still payout nicely over the next 5 to 10 years in the massive $2.3 billion market for cancer drugs. Merck also “plays well with others” in seeking additional profit potential. An upcoming mid-stage clinical trial of a hepatitis C virus drug in conjunction with Bristol Myers Squibb Co. (NYSE:BMY) will use a combination of Merck’s MK-5172 and Bristol Myers Squibb Co. (NYSE:BMY)’ Daclatasvir drug. The trial will test to evaluate the efficacy and the safety of a once-per-day oral ingestion of the medication. If all goes well, this could help to build on the success of Merck’s already approved hepatitis C drug Victrelis that hit the market in 2011.